Admin panel on a Facebook Page. Screenshot of the settings menu on a Facebook Page. In just a few quick steps, you can now hide your Facebook Page from friends and fans. 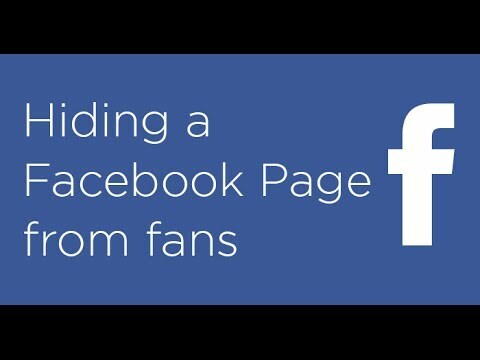 What are some reasons why you want to make your Facebook Page private? Let me know in the comments below. Hi, I am sorry if my question seems stupid: I am trying to adjust who can see my pictures and whenever i choose from the privacy setting who can see (by list) and then i test it to check who can see what ( view profile as a specific person) nothing changes! would you please help me? Yasmine Mahmoud, are you trying this from the same browser? It may be getting cached. I recommend setting the privacy settings in a photo first and then go to a different browser and use the “Facebook view as…” tool. Here is a link to the Facebook view as tool.